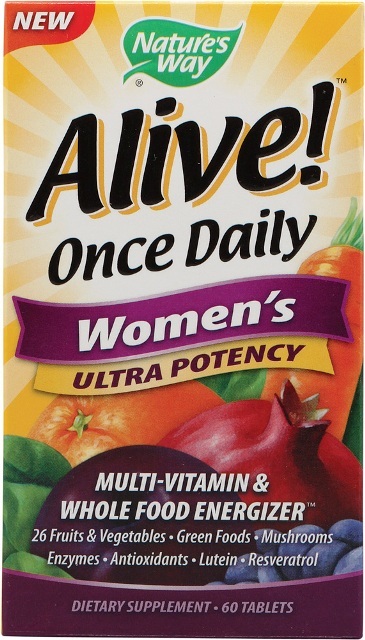 The Mane Objective: Spring Forward Challenge Week 3: Do You Need Vitamins? Spring Forward Challenge Week 3: Do You Need Vitamins? Welcome to Week 3 of the Spring Forward Hair Growth Challenge!!! This week, it's all about nutrition and supplements -- establishing that healthy hair healthy body connection, and creating the environment for maximum growth and retention from the inside out. Vitamins and supplements are a hot hot HOT industry -- with stores and businesses like Vitamin Shoppe, Lindburg Nutrition, and GNC raking in billions annually. And while some supplements touting miracle benefits tread on the side of complete hokum, others have proven scientific benefit when it comes to balancing deficiencies, treating ailments, supporting hair growth, and overall health. Sidebar: Big Bang Theory is an awesome show. Raise your hand if you regularly eat a balanced meal that gives your body every single nutritive substance that it requires for optimal performance. Yeah, that's what I thought. Last time I checked, none of us were the mood to gnosh on foliage and dirt. 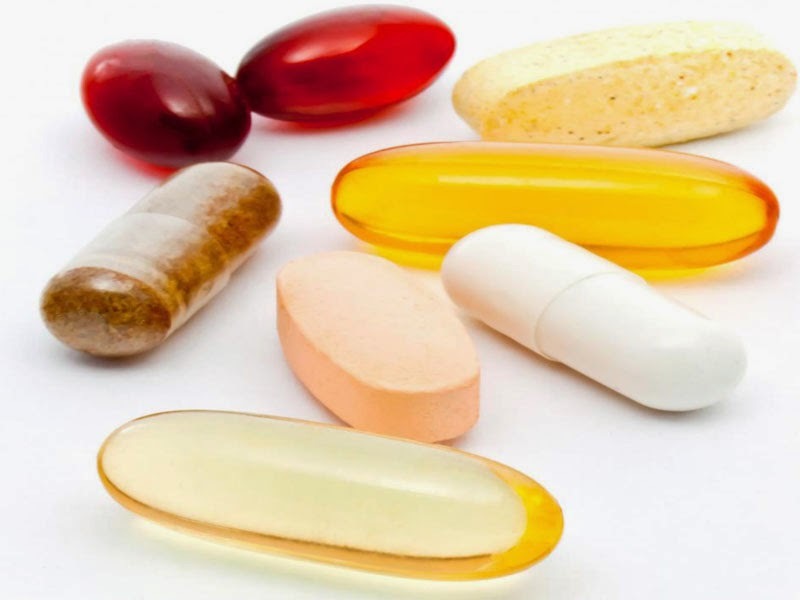 In this post, I'll be exploring some common conceptions about vitamins, and whether they are based in truth or not. Ready? Let's go! Conception #1: I don't need vitamins. I eat fine. The Reality: No you don't. Unless you live on a farm, grow your own fruits, veggies, grains and livestock, and harvest/prepare them all yourself with minimal processing -- you need a multivitamin, at least. Sadly, many of the foods we eat (even minimally processed ones) lose much of their nutritive value from the time they are harvested until they make it on our plates. If you're anything like the average American, you eat more fast and freezer-packaged food than you'd like to admit, and therefore are missing out on valuable nutrients, vitamins, and minerals that your body (and hair) need to function optimally. If you're into this whole juicing fad (I have my own reasons for why I think it's a fad), that is an amazing way to get key nutrients your body needs. Buttttt...we still go back to the same principle from the beginning of this paragraph. Unless you grow it yourself, you don't know how long ago it was picked/harvested, and how long it has been sitting in the produce section (and if its been coated with icky stuff to keep it from going bad so quickly while it sits). On top of that, up to 45% of the nutritional value of fresh produce is lost by the time it hits your home. If you're still going to juice, I would recommend adding a supplement like Green Vibrance to your mix to make up for what's lost. Conception #2: Vitamins are an expensive form of urine (anything you take in, you'll pee it out). The Reality: There is some truth to this statement. Vitamins come in two forms: water soluble (B and C vitamins) and fat soluble (A, D, E and K vitamins). Water soluble vitamins often require daily replenishment in your body. When ingested, your body uses up as much of these vitamins as you need, and expels the rest in your urine (thank you Sheldon). Because you don't have any water soluble reserves, taking a daily vitamin is a great way to ensure that your body is getting enough B and C vitamins regularly. Fat soluble vitamins operate a little differently. When ingested, your body uses what it needs of the fat soluble vitamins, and stores the rest in your liver and fatty tissues. Because fat soluble vitamins operate on what can best be described as a time-release schedule, they don't need to be replaced as often. Conception #3: I can take a specific/targeted vitamin. I don't need a multivitamin. The Reality: On many haircare websites, I see that a lot of folks are just taking biotin, or hair/nail/skin vitamins. That's cool and all, and more power to you. However, those limited vitamin complexes are only one part of the puzzle. For those of you that take a targeted, methodical approach to eating, I applaud you. Seriously. I would love to have your discipline one day. And in all honesty, you probably don't need a multivitamin. It's probably best that you take a targeted vitamin or supplement that hits areas you may be missing. Unfortunately, me, and a bunch of other folks don't have such a thorough approach to consuming the nutrients our bodies need, and in some cases, rely on vitamins to pick up the slack. While I will admit this is problematic (a magic bullet-esque solution, if you will), I cannot underscore how important it is that our bodies get some semblance of the vitamins and minerals it needs to function. Can you eat like crap and then take a few multis to balance it out? No. Can you take multivitamins and at the same time work on increasing your intake of fresh fruits, veggies, unrefined grains and healthy proteins? Absolutely. Conception #4: Vitamins will accelerate my hair growth. The Reality: Ehhh....yes and no. If you're looking for a mystical hair vitamin complex that is going to make your hair grow 4 inches a month, you're out of your mind. However, if you're tryin' to show your hair a little extra love and make sure it has the nutrients necessary for optimal growth/follicle stimulation, then vitamins may give you that extra oomph you've been missing. Hair is primarily composed of keratin, which on a molecular level exists as a long chain of amino acids. Those amino acid chains are made up of carbon, oxygen, hydrogen, nitrogen and sulfur. Without delving too far into polypeptide chains (salt, hydrogen, disulfide... Christina, WHAT?! lol), let it just suffice to say that there are certain vitamins and supplements that are on the molecular level, beneficial to stimulating hair growth. Biotin is beneficial in not only follicular stimulation, but in strengthening the cortex of the hair (the part that is essentially keratin). MSM (Methyl Sulfonyl Methane) is an organic sulfur compound (scroll up... sulfur is a building block for hair!) that is generally used for reducing inflammation in the body's tissues, particularly joints. MSM is really cool because in addition to easing joint inflammation, it has been proven to increase hair's growth (anagen) phase. In a future post, I will explore more in-depth what this means for your hair. But for now, just know MSM is an excellent addition to any vitamin or supplement regimen that will show your body and hair extra love. 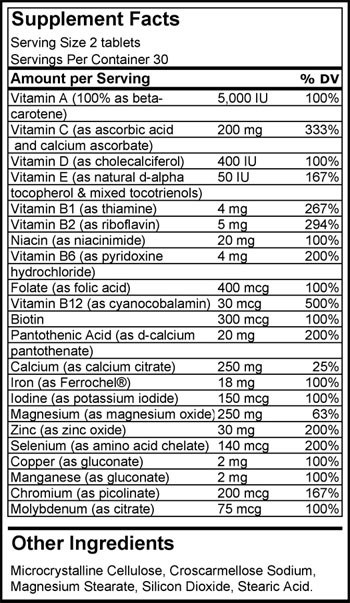 Conception #5: In order for vitamins to work, they have to be the top of the line, most expensive 100% natural, organic, food-based, vegan vitamins. The Reality: I once fell prey to this one at Vitamin Shoppe. I got "suckered" into dropping damn near $50 on a month supply of RAW Vitamin Code multivitamins. I will NEVER do that again. The argument for raw food/whole food vitamins is that your body best recognizes and identifies the contents of these vitamins as food, and therefore can more readily absorb them to be used for their intended purposes. I get that. Totally makes sense. Our bodies were designed to run on food, not random synthetic chemical compounds. Your typical generic/store-brand/less-expensive multivitamin most likely is comprised majorly of synthetic, lab-derived compounds. You can identify synthetics on a vitamin label like this: when an ingredient has parenthesis next to it, for example: Vitamin C (as ascorbic acid), that is a general indicator that the vitamin is synthetically derived. So what's the deal with synthetics? Synthetic vitamins are cheaper. The downside is that as a synthetic compound, it can be hit or miss. Our bodies aren't necessarily adept at identifying synthetic compounds as nutrients necessary for optimal function. Therefore, there is the chance that you will just create fancy pee. Don't count them out yet, though. The success or failure of synthetic vitamins is solely individual. What works for me may not work for you. My suggestion is to start low on the financial totem pole, and work your way up. What vitamins and supplements are you currently taking? For a fit and maintained physique, it's very important to take proper dose of nutrient which you can get only with vitamins, proteins and natural essentials. For this, Tconsume a heathy diet with regular exercises routine. Yes, it is important to challenge your body to stay fit. So it is important to eat healthy food. For this you want to make your proper diet plan and need to take some supplements.